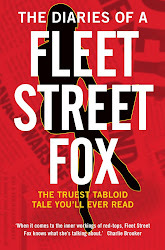 ... get foxed right up by me in the Daily Mirror today which you can read here. On the plus side, you can avoid them by going up stairs. FOR NOW.